Situated on SH2, about half way between Auckland and Tauranga, Ngatea Water Gardens is one of those places you’ve probably driven past many times without even noticing. But it’s definitely worth the stop. The five acres of picturesque ground takes you through beautiful gardens, over bridges, past waterlily ponds, waterfalls, and magical fountains. There’s even a castle to see and Can Museum to explore! A worthwhile stop for all ages. If you’re driving between Queenstown and Glenorchy, be sure to schedule a stop at Little Paradise Lodge & Garden. 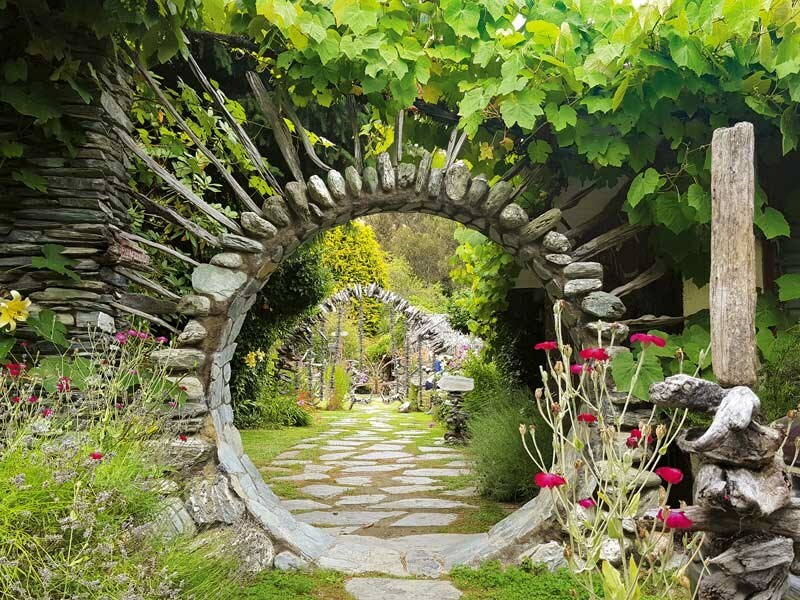 Located on Lake Wakatipu, the quirky five-acre garden is an absolute visual feast, with something wonderful waiting around every corner. Tours start inside the lodge, which features whimsical artwork and handmade furniture. Outside is a garden trail that rambles along for around 700 metres with thousands of roses, flowers, water features, and sculptures. An absolute gem! Located on the grounds of Kemp House and the Stone Store—New Zealand’s oldest buildings—you’ll find a beautiful array of heritage roses, a riverbank orchard, and English cottage garden flowerbeds. Cultivated for nearly 200 years, the gardens are some of New Zealand’s oldest and a wonderful place for a picnic or walk, with a self-guided garden tour also available. Lake Virginia in Whanganui is the perfect spot to stop, stretch the legs, enjoy a picnic, and wander through the beautiful gardens. 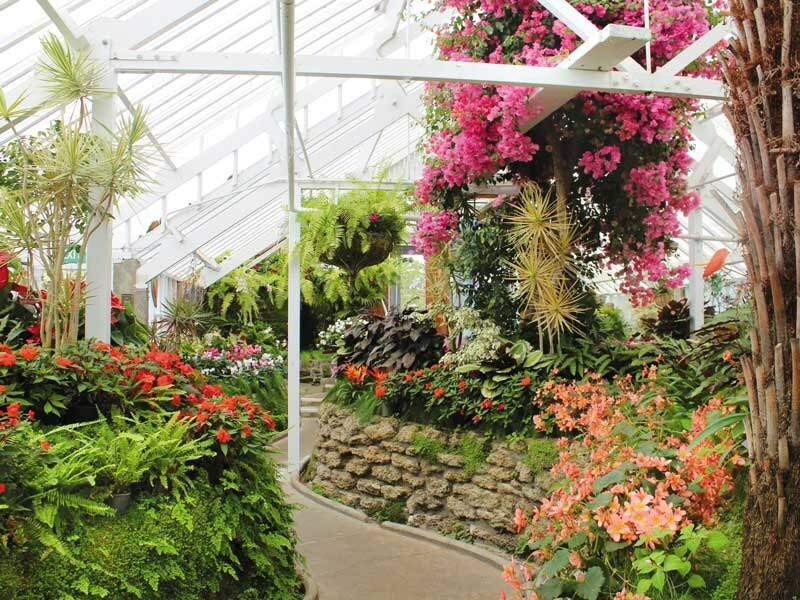 A stroll around the lake takes around 25 minutes, after which you can wander through the Winter Gardens greenhouses, the Art-Deco-styled conservatory, and the outdoor display area, which is always pretty as a picture with colourful tropical plants and themed gardens. There’s a huge aviary next door, too, which is sure to be popular with the littlies. Sculpted from a hillside overlooking the Waiwhakaiho River, Tupare is a premier landscaped garden with a unique homestead, originally developed by Sir Russell Matthews and his family from 1932. As you walk the winding paths cut into the hillside, you’ll find stately trees, deciduous maples, copper beeches, and dawn redwoods, as well as a stunning collection of rhododendrons, azaleas, and hydrangeas that were all carefully planted by Sir Russell. This unique New Zealand heritage site consists of two historic buildings surrounded by beautiful, open parkland and ornate gardens, bordered by the Avon River and nestled into ancient native bush. The tranquil 12-hectare reserve is located just 3.5km from Christchurch’s city centre. Explore the house grounds and bush at your leisure. Viewing of the inside of the house is by guided tour only and these operate daily. 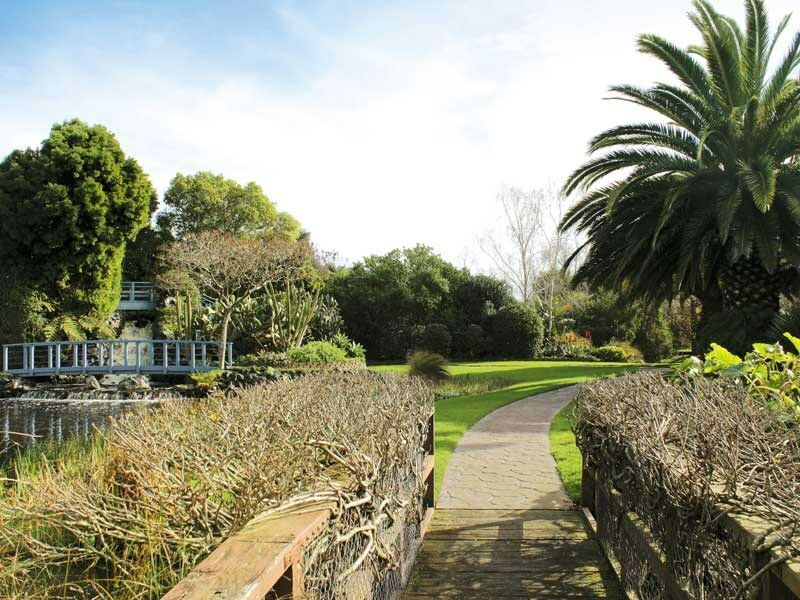 Hollard Gardens—TaranakiInformal and intimate, Hollard Gardens in Kaponga, Taranaki has a huge variety of native and exotic plants, many of which are rare and endangered. Whatever time of the year you decide to visit, you’ll find it alive with the sound of birds feeding on the diversity of seasonal flowers, fruit, and seeds. In spring, the vibrant colour of The Swamp is a must-see, and later in the year, you won’t want to miss the deciduous trees that provide a bright display of changing colours. Opened in 1995, Miyazu Garden celebrates Nelson’s sister city relationship with Miyazu in Japan. The garden is designed to honour the cultural and natural elements of Japanese life creating a place with significant meaning for the people of Nelson and visitors alike. Enjoy the serenity of reflective ponds, trickling bamboo spouts, and melodic cascades that offer escape from the hustle and bustle of daily life. A lovely spot for a little quiet contemplation.